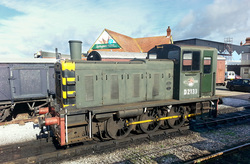 The former BR Class-03 D2133 contiues to earn its keep here at Minehead on the West Somerset Railway.Its main duties being the station pilot here at Minehead.It was constructed at Swindon in 1960 but only lasted in BR service until 1969.Then because it was still far from life-expired it passed into Industry ending up at the British Cellophane Factory in Bridgewater.When that requirement ended in 1994 it passed into preservation here at Minehead.Interestingly it was never included in the TOPS number scheme because it wasn't a BR loco at that time. Authentically workstained 204hp Class-03 D2133 stands parked in Minehead Station on the WSRly.This engine was for many years at the British Cellophane site in Bridgewater.Upon redundancy there it was donated to the local preserved line here at Minehead.The factory itself was closed in 2005 and the site levelled.It must be noted that this loco has worked its entire life in Somerset! 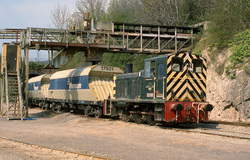 Although un-numbered here is actually 03037.Seen parked at Rowsley on the Darley Dale Railway.This loco is part of the collection of the 'Heritage Shunter Trust' Fleet. 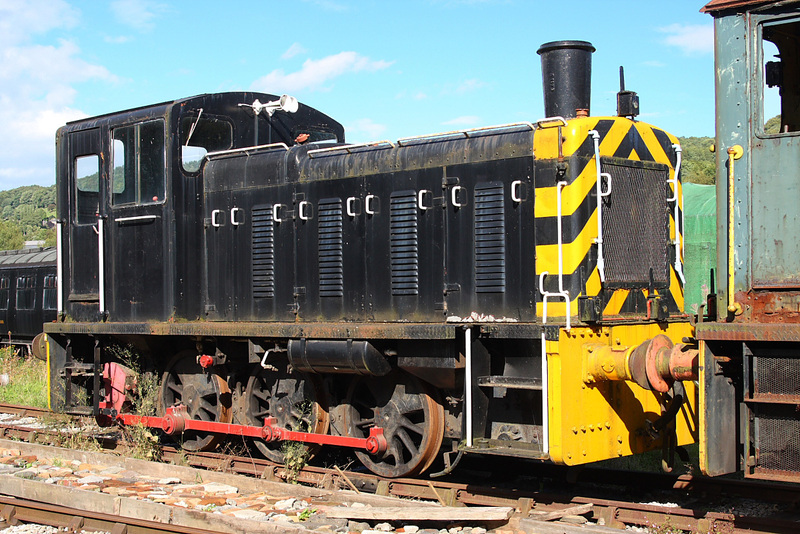 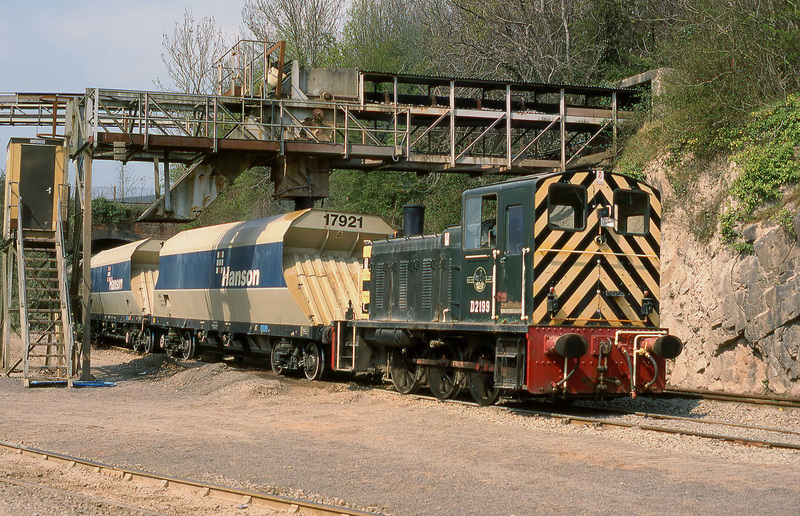 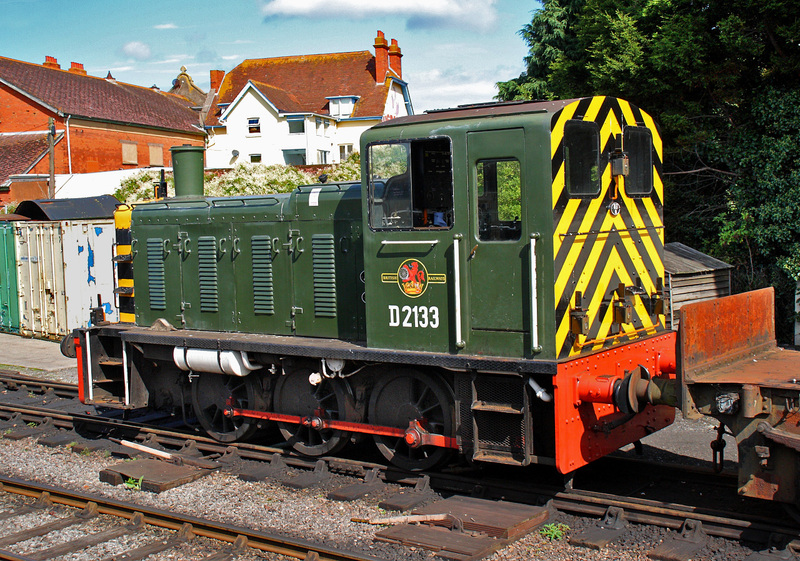 Here is Shunter Class-03 D2199 still working for a living in Industry in 2003.Although only built in 1961 it was withdrawn in 1972 without ever gaining a TOPS 03XXX number and was sold to the NCB.After that it was preserved at Meadow Hall in Sheffield.When this stint at Machen Quarry nr Newport was over in 2006 it went to Rowsley on Peak Rail.Although it is still serviceable it has been stored now for a few years.